The strikingly positive ratio of invested resources versus gained benefits beyond your most optimistic expectations with cloud accounting software should assuage any latent hesitation you may have in this matter. On the other hand, only cloud accounting software can ensure that your business is truly 21st century mobile. With this in mind, without exaggeration cloud accounting has proven itself the single most powerful tool for dealing with seemingly endless and time consuming bookkeeping activities. Real time updated “true cash flow” – This means that cloud accounting software hosting can give you the decisive advantage in your business. The cloud-based accounting systems can provide you with accurate, reliable and real-time information about your business’s financial condition – the optimal way to ensure a proper basis for adequate business decisions. Show me the money, now! – Statistics show you have to wait to get money due almost 41 days on average. Cloud accounting software hosting speeds up the cycle to less than 3-weeks’ time. Move in smooth and fast – cloud accounting hosting solutions allow finances to be managed at the speed of thought. As as you realize financial tasks need to be done, cloud accounting software will make it happen instantly. Mobility and flexibility – Traditional (dare we say outdated?) accounting is a synonym for excessive paper and data entry. Your financial business landscape can be reshaped completely with the introduction of cloud accounting. Integration is key – Perhaps the greatest thing about cloud accounting software hosting is its friendly nature. It works and integrates nicely with other apps and tools you are using. No doubt cloud accounting software hosting is the future of business. If you haven’t made the switch, your competitors have already started. 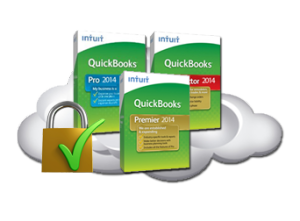 So make it your 2015 resolution to move your accounting to the cloud or at least give it a free trial. Today as never before, cloud accounting software and apps provide you real-time insight needed for informed business decisions while affording you more time to focus on serving your customers and growing your business. Cloud9 Real Time can help move your business towards cloud accounting software hosting and paperless efficiency – Cloud9’s cloud hosted accounting solutions garnered more industry awards in 2012-14 than all other Intuit authorized cloud service providers combined, including the Sleeter Awesome App, the K2 Quality Technology Award, the CPA Practice Advisor’s 2012 and 2013 Reader’s Choice Award, and the 2012-13 UP Award as one of the Best Cloud Hosting companies, to name a few.